COMME des GARÇONS and Nike have been collaborating for quite some time now. Last February, they released a high and low-top version of the Nike Blazer that made huge success. 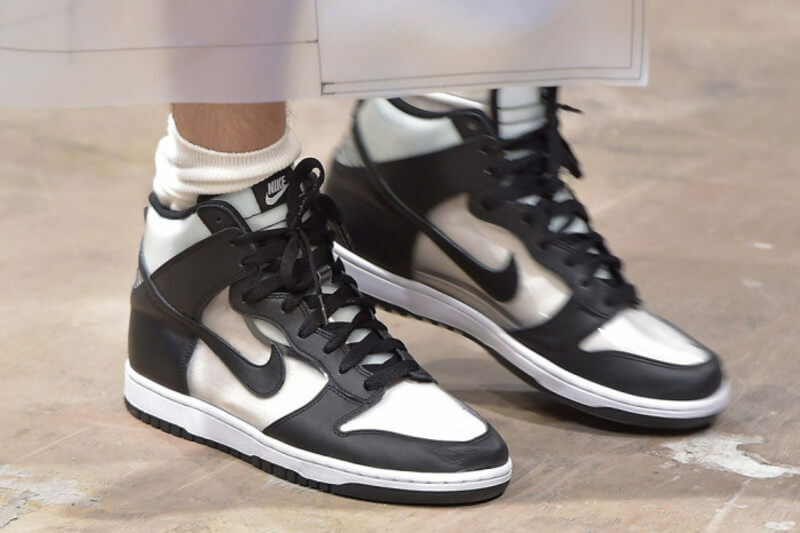 Now, it was time for another crazy collab that gave us the glass slipper version of sneakers: Clear.The shoe was first unveiled at COMME des GARÇONS’s men’s show at Paris Fashion Week last summer. Now, it is out for everyone. The sneaker is wrapped in a deep black and cream upper with transparent PVC panels on the side. The Swoosh branding appears on the tongue, and “CDG” lettering at the heel. 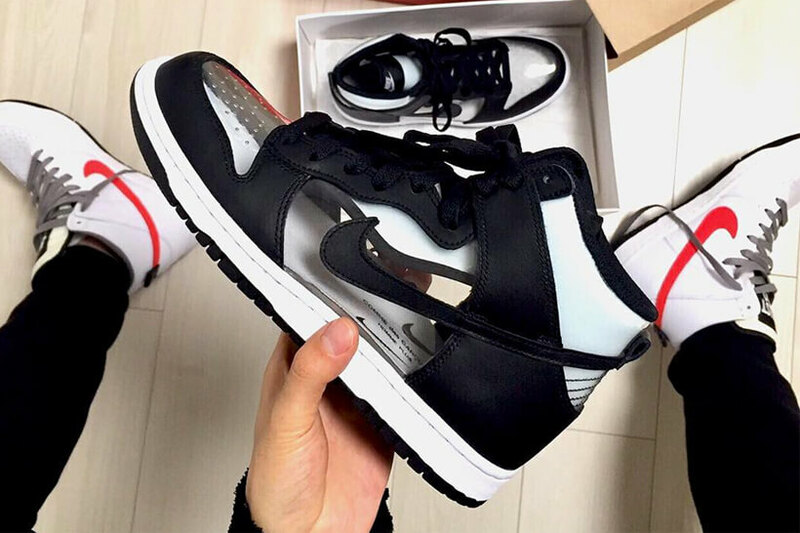 The new model focuses on the Nike Dunk High silhouette, highlighted with its unusual transparent PVC side panels. The transparent sides give the sneakers an ultra modern look. 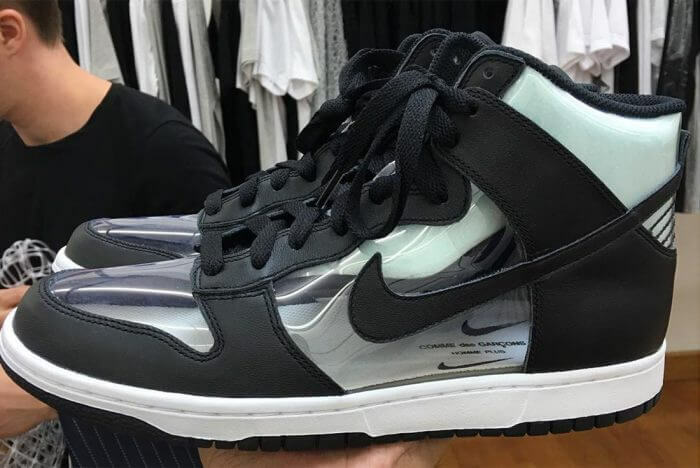 Finally, according to an instagram post by the brand, The COMME des GARÇONS x Nike Dunk High “Clear” has already released in Japan. We wait excitedly for the release of “Clear” in the rest of the Western world.